"I just wanted to have a good start to the season, get outs early and get us to the dugout as quick as possible," he said. "Location was the key, being able to get ahead. I was happy with my fastball location and worked the other pitches off that." Kazmir's mastery of the strike zone was fantastic. He darted in and out, while keeping batters guessing about the speed of the pitch. "I'm trying to stay back on pitches, trying to not go with what they're trying to get him with," Puig said. "It has helped to make good contact with the ball." Not exactly a great situation, eh? Via an AP report at ESPN, "Don Drysdale's widow selling awards over objections." "She has the legal right, but moral and decent right? Absolutely not," Drysdale said through tears by phone from her home in Hawaii. "It's not a very nice thing for someone to do. This is something that has caught me by surprise and is heartbreaking." Meyers said timing played no part in the sale and that many of the items were in storage. She said a portion of the proceeds would go to as yet-undecided charities and the rest "to help my kids down the road." Via Mike Axisa at CBS Sports, "Baseball beware: Apparently Clayton Kershaw throws a changeup now." Kershaw threw that changeup like a fastball and it had fade down and away, like a changeup is supposed to have. Doing it once does not mean he can do it all the time. That's the hard part. Kershaw showed it is in there though. He just has to figure out how to get to it consistently. Via Mike Piellucci at Vice Sports, "Trayce Thompson Is on a Journey Toward Becoming His Own Man." Via Doug Padilla at ESPN, "Chase Utley on his latest slide: 'We were taught that ...'"
"I think any time you can try to get in the line of the throw, the better chances you have of being safe," Utley told ESPN.com Tuesday. "We were taught that in spring training, and obviously I was taught that a long time ago. 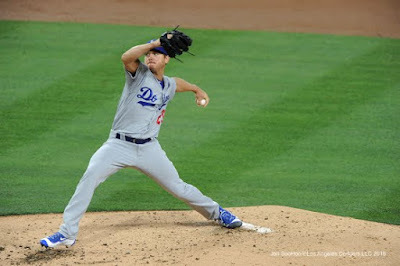 It was definitely emphasized this spring training here."